There is room for improvement in how officials across the U.S. Department of Transportation manage their office space, the department’s inspector general determined in a recent report. 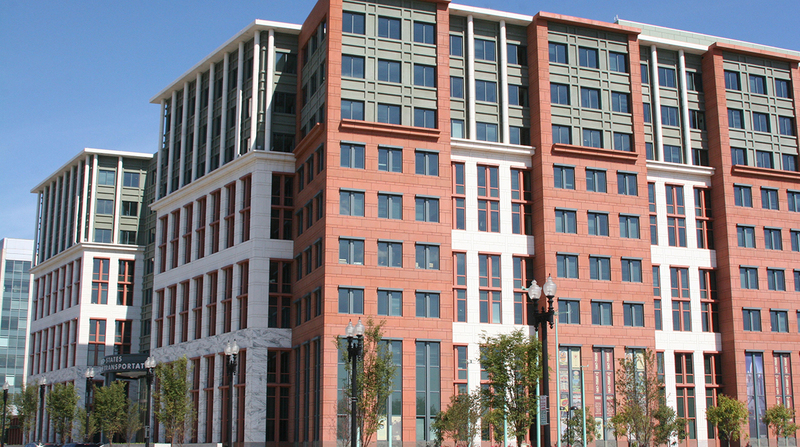 Specifically, by clarifying and expanding its “Office Space Design Standard Policy,” the department could achieve efficient utilization of such spaces, with the potential of reducing costs, the inspector general concluded in findings published April 9. Factors limiting the department’s ability to efficiently utilize office space included a limited application of the utilization standard; not ensuring justifications exist for office spaces that deviate from the standard; utilization rate calculations are unreliable; and lacking a complete and accurate tracking system for office spaces. The report recommended DOT officials to develop, document and implement an internal system when a subagency, such as the Federal Highway Administration, plans to acquire or continue to occupy an office space that exceeds the utilization standard. Ultimately, the department could identify $2.1 million by not paying for space that exceeds the standard, the report concluded. Pending completion, the inspector general affirmed in the report that DOT had proceeded to resolve other recommendations. Those recommendations included developing, documenting and implementing a supplemental guide to the “Office Space Design Standard Policy” for applying the utilization standard to existing office space and guidance for conducting regular reviews of office spaces at the subagencies “to identify and execute cost-efficiency opportunities.” Another recommendation was developing and implementing a process for tracking DOT office spaces and their utilization rates. In a letter from February that was included in the IG report, DOT Deputy Assistant Secretary for Administration Keith Washington wrote, “While we do not agree with OIG’s methodology and the basis for its findings, we agree to strengthen our policies and oversight tools.” He added the department plans to implement nearly every recommendation by Sept. 30, 2020. The IG indicated it had developed a survey for 100 sampled office spaces as a way of gaining information deemed relevant about the use and management of the space, as well as copies of the current occupancy agreements. In 2016, the department issued its “Office Space Design Standard Policy.” The policy is meant to promote consistency in the use of the department’s owned and leased office space, as well as assist with achieving performance targets that would reduce office space. DOT indicates it owns or leases about 31 million-square feet of building space.